How long will I have to wait for ClariusEco to visit and prepare an EPC? Every building is different and all clients have different levels of priority but we will aim to visit and prepare your EPC as quickly as possible. We pride ourselves on the speed of response and our commitment to helping clients meet their own business needs. How much will it cost for an EPC? This depends on a number of factors including size, buildings usage and complexity of course. Our prices start at around £200 for the simplest of assessments. What is the financial penalty for not producing an EPC? The penalty is calculated by taking a figure which is 12.5% of rateable value with a minimum of £500 and a maximum of £5,000. If this formula cannot be applied then a default figure of £750 is applicable. 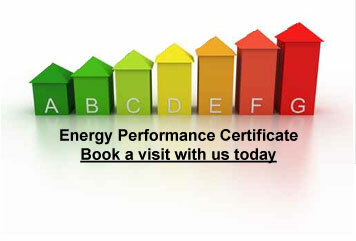 What information does the EPC exactly show? A prospective tenant or a prospective buyer needs to know the energy efficiency and performance of a building to help them give consideration to the energy costs prior to leasing or acquiring the building . ClariusEco will also provide recommendations on a separate report to enable improvements to increase energy efficiency and reduce carbon emissions . There are a wide variety of capital allowances , grants and interest free loans available for improvements to energy efficiency. Am I obliged to follow the recommendations contained in the EPC recommendations reports? No but the objective is to demonstrate where savings could potentially be made to improve the buildings energy efficiency reducing cost and carbon emissions to the environment. Will I have to renew my EPC? An EPC is valid for a period of 10 years but you need to be aware that if you make alterations to the structure , heating and ventilation services as well as layout you may need an updated EPC. ClariusEco will be able to provide guidance in this respect. Do you provide a national Service? ClariusEco strives to provide a service across the whole of England and Wales . Occasionally we will ask a partner organisation to conduct the work where time constraints or location inhibit but this will always be an ABBE accredited organisation.